You check into a hotel room and are trying to get some sleep. No noise is coming from within the four walls of the room except your own snoring, but down the hall a dog is barking and there are three toddlers in the room next door making all kinds of noise. As soon as you begin to drift off, the dog starts up again, and so does the whining. In this analogy the four walls of your hotel represent the stated frequency range of your receiver. And just like in your hotel room, some things you don’t want to hear get inside… in this case the dog and the loud kids. Why don’t receivers already take care of all that? For the same reason the hotel doesn’t make your walls totally soundproof, cost! 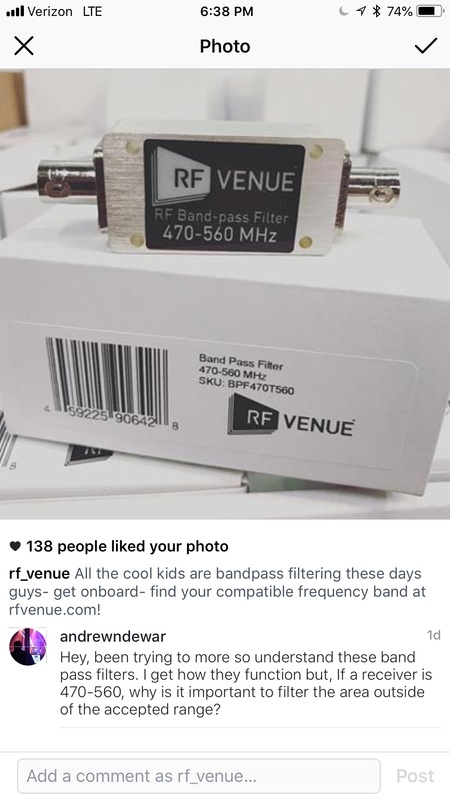 High performance bandpass filters from RF Venue are reasonably priced and we make them easy to match your wireless mic receiver frequency bands to keep out the dogs and the other nuisance signals. Unfortunately I wasn't including the frequencies below 470 MHz in the original scan range, but note that you will receive the same benefit below that frequency as we did above the top of our bandpass range at 560 MHz. Below we have the bandpass range side to side. 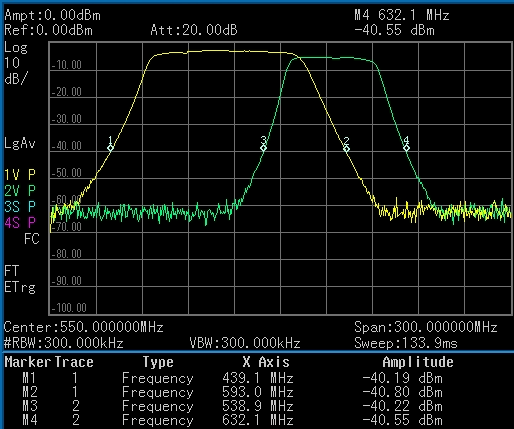 You can see that in this case adding the additional RF Venue bandpass filters will give you an approximate 12 dB reduction in the overall noise floor. 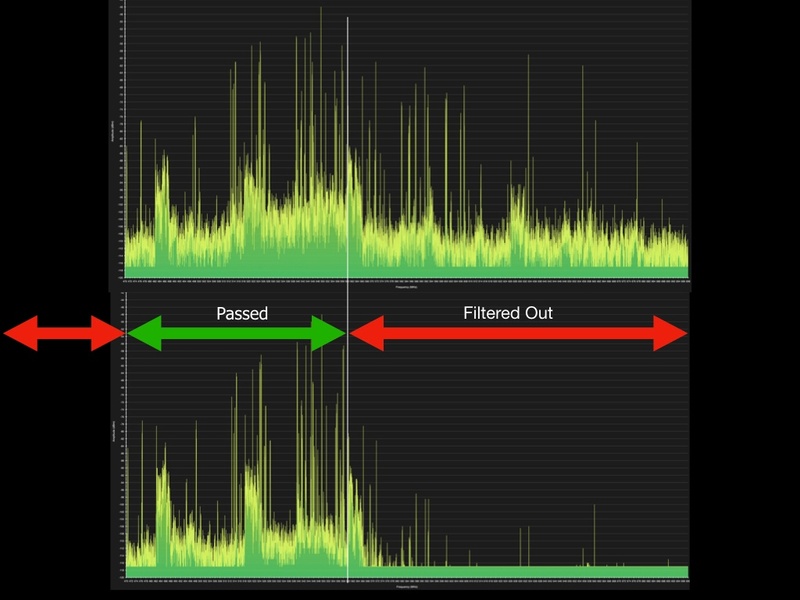 Looking at it this way it's easy to see how out of band interference affects your band of interest. 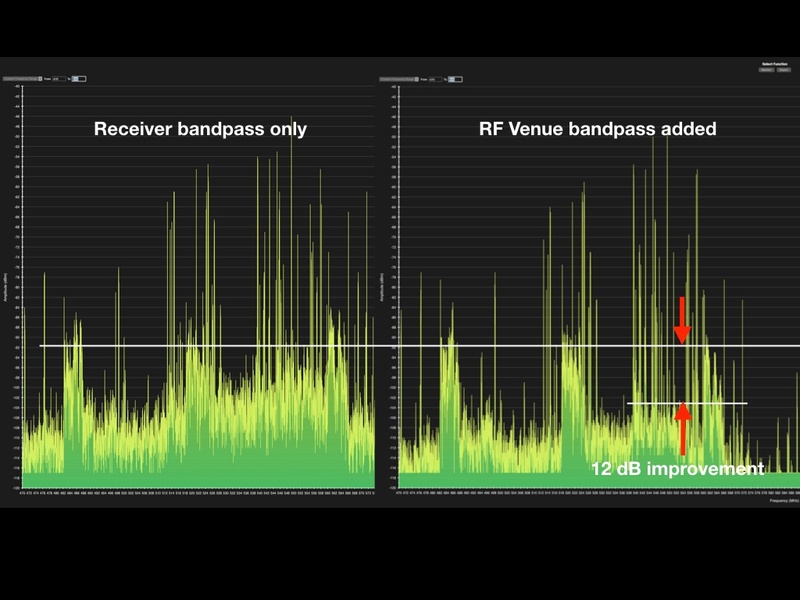 With T-Mobile lighting up the 600 MHz band in the US, expect more out of band noise coming to a venue near you.